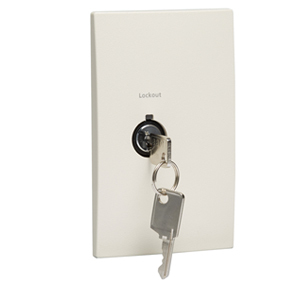 Elaho Lockout stations provide keyswitch control activation for presets, zones, station lockout or any other button function. The station supports lockout by default with additional programming using the ElahoAccess interface and configuration app. Do it your way. Elaho's network lets you plan your lighting control the way you want, delivering data and power using a two-wire, topology-free system that gives you the freedom to put stations where needed, without worrying about wiring. With up to 16 stations and a 500-meter network limit per system, Elaho has your lighting needs covered.